I am half way through IV Corps of Napoleon's 1815 Army and the next brigade is the 1st Brigade of 13th Division, commanded by Général de Brigade Baron Jacques le Capitaine. 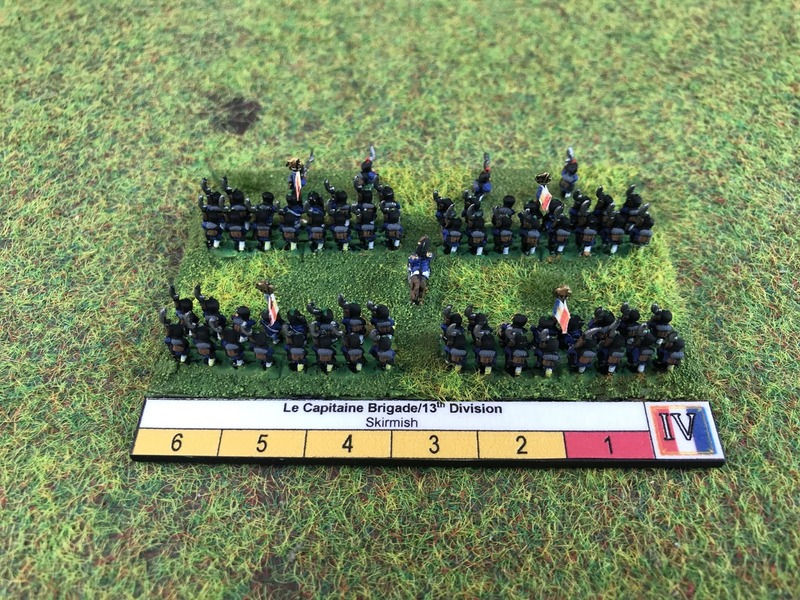 The two regiments that made up the brigade are the 59th and 76th regiments of Line. 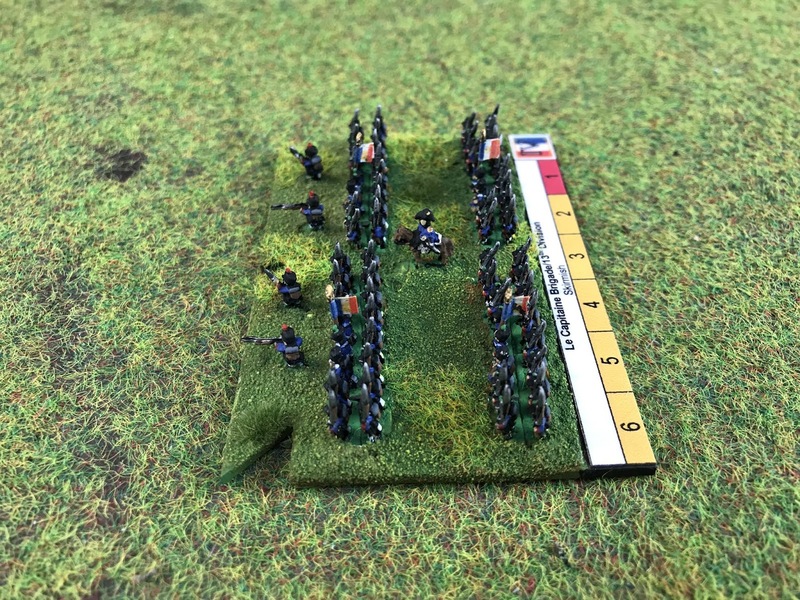 The brigade was involved in the heavy fighting at Ligny, advancing into the village to face heavy fire from Prussian units in the square. 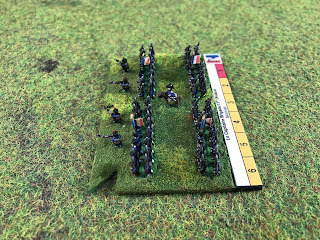 neither side gave any ground and le Capitaine was killed whilst the 59th Regiment took heavy casualties. Two days later the division was also fighting at Wavre during the fighting at the village of Limal, but I can't find much more information on them than that. 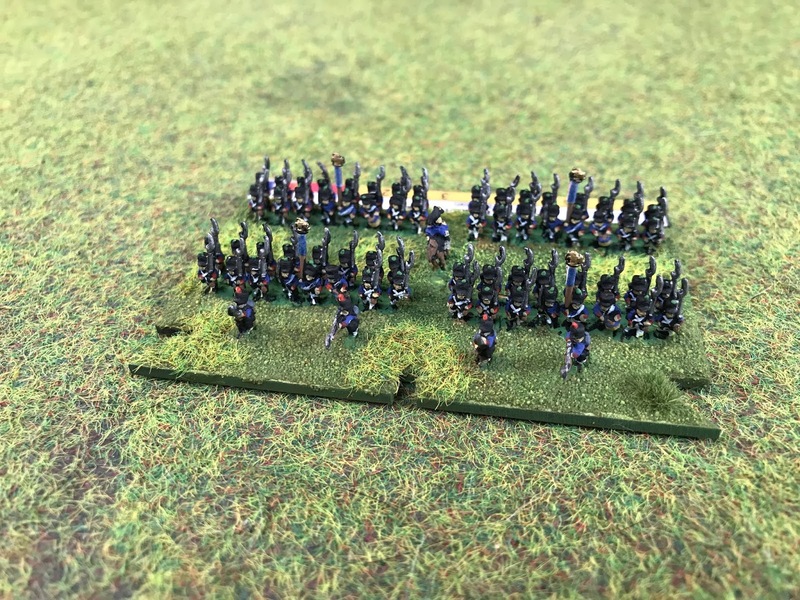 IV Corps is slowly ticking away, with only a few more infantry brigades to finish, the end is in sight! 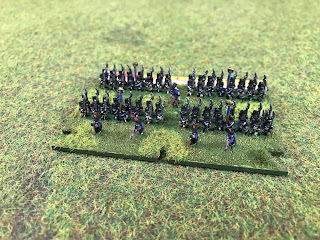 The information for this post came from Mark Adkin's Waterloo Companion (Amazon Affiliate link) and John Franklin's Waterloo 1815 (2) Ligny & Waterloo 1815 (3) Mont St Jean and Wavre by Osprey (Amazon Affiliate link).